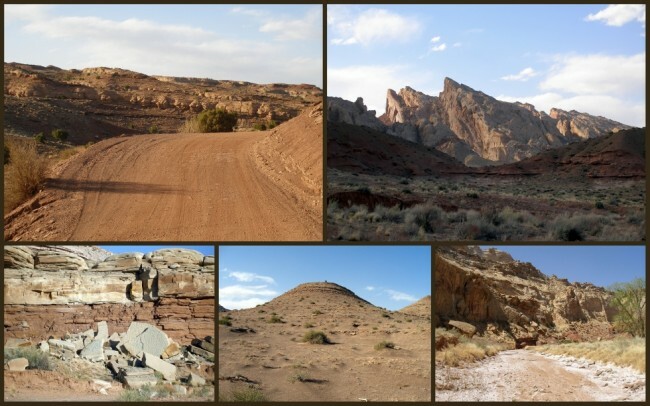 Utah is a wonderland of geologic diversity, and nearly hidden in the south central part of the state is an amazing place worthy of your attention. 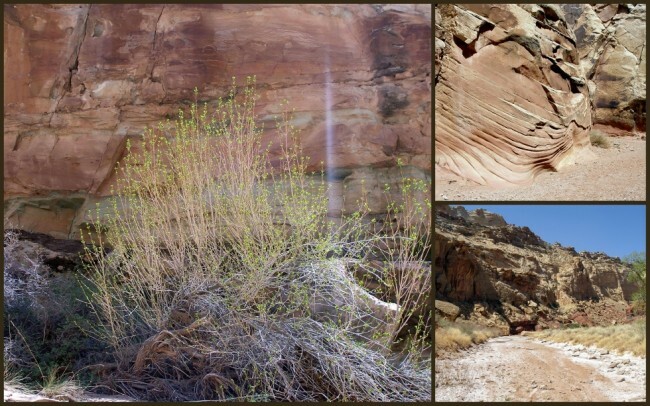 The San Rafael Swell can be found about 30 miles west of the community of Green River. 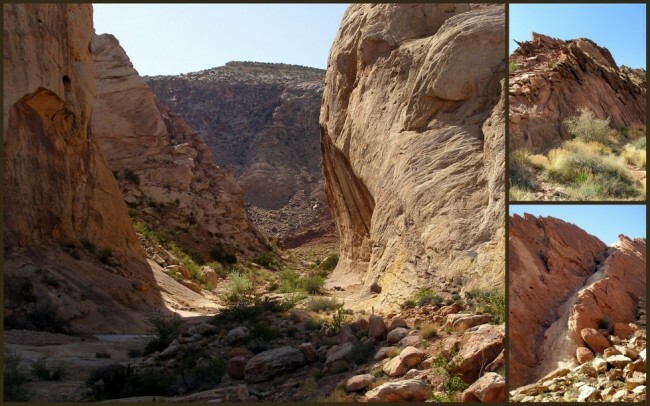 This enormous geologic feature measures about 75 by 40 miles and contains countless recreational possibilities. It is bisected east to west by Interstate 70, dividing it into Northern and Southern sections. On a springtime visit there, my friend Jeff and I hiked three separate canyons: Chute, Calf and Three Finger. 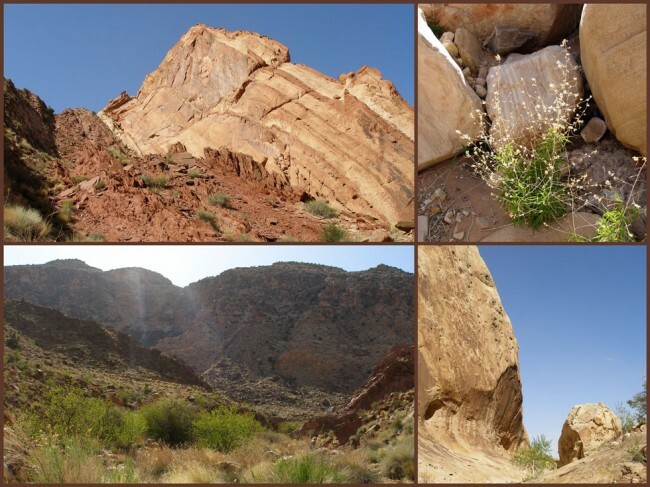 Each of these offered different and fantastic views of Canyon Country. Like the folks who frequent the trails, each had its own personality, charm and challenges. The Swell consists of a massive dome-shaped anticline that was pushed up millions of years ago. Since that time, it has been shaped by infrequent, but powerful flash floods. 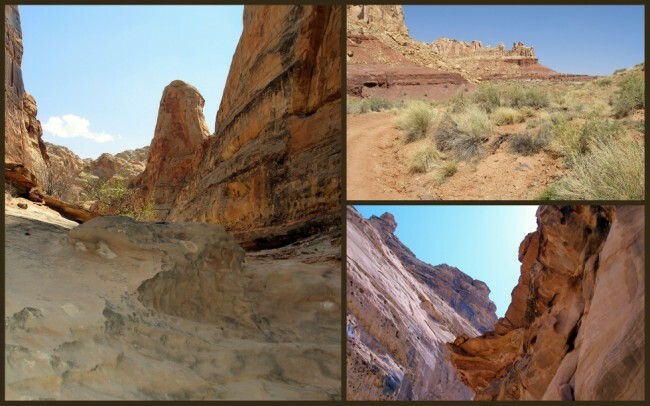 The water has eroded the sedimentary rocks into abundant canyons, valleys and gorges, accentuated by numerous buttes and mesas. The northern part of the formation is drained by the San Rafael River, while the southern portions are evacuated by small creeks which empty into the Dirty Devil River near Hanksville. All water eventually enters the Colorado or Fremont Rivers. The Swell is a magnet to anyone who enjoys the great Southwest outdoors. 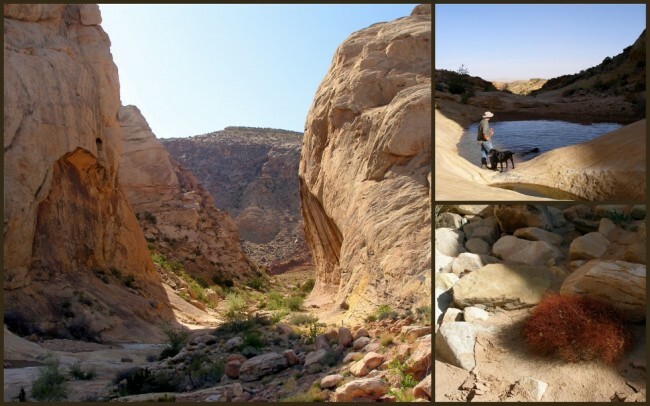 You’ll find it frequented by hikers, backpackers, photographers, horseback and ATV riders and enthusiasts who love the world of slot canyons, of which there is no shortage. If you decide to visit the Swell, keep a few things in mind. 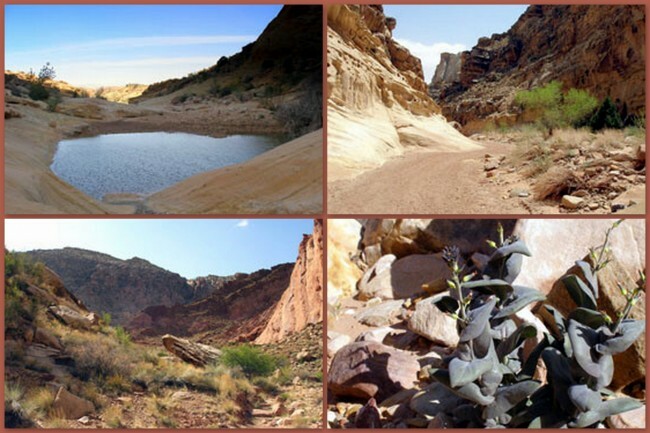 First, this is a real desert environment; drinking water is in short supply. Make sure to taken plenty with you. Also, the winds on the mesas can be vicious, even at night. Make sure you have everything either tied down, weighted down or stowed away in your vehicle. The winds were so high when we visited that we had to weight my tent corners down with heavy objects, just to keep in from blowing away. Because there was only a thin layer of sandy topsoil, tent stakes were totally useless. I highly recommend you visit this place. For the moment at least, it’s not on the “A List” of sites to see in Utah, though I expect that to change in the not-too-distant future. The scenery is stunning, the enjoyment factor is off the scale, and I don’t think you’ll ever find a better canyon environment to explore. Last modified on: March 11th 2015.